Every family is busy. As kids age, they develop their own schedules. Parents have their planners and calendars too. It can be hard to communicate and organize these full lives. 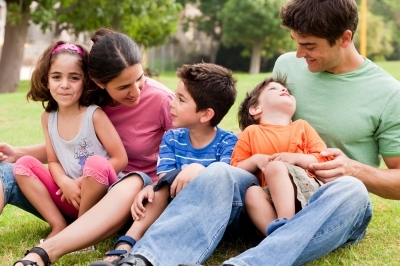 Here are 5 Family organizing and communication tips and ideas that will help! Although my family lives a more simple, less scheduled life than most, we still have trouble with organizing our plans. Our greatest communication blunders revolve on our schedule. If your partner is highly organized, this may not be your challenge. We like to leave lots of room for spontaneity in our life, especially in the summer and aren’t used to be tied down to a strict schedule, yet there are certain events and appointments not to be missed. Here are some useful tips I have discovered for enhancing our communication and organizing our family schedule. We have a monthly calendar in our kitchen where we write down appointments, camps, clubs, concerts, etc. A good friend of mine keeps a weekly dry erase calendar on the kitchen wall that is more specific with plans such as yoga class, kids’ games, sleep overs, etc. We were sent a peel and stick adhesive frame calendar for your stainless steel fridge, since magnets won’t work on the front. This calendar by Fodeez uses your phone or computer app to print your calendar and then display it on the refrigerator. A busy mom’s best friend! The most effective calendar on the market to manage busy families. Fodeez Family Schedulers combine the simplicity of a calendar application on a phone or computer with good old-fashioned dry erase boards. If you keep your schedule on your phone or computer, simply go to the full month view, and print that image. 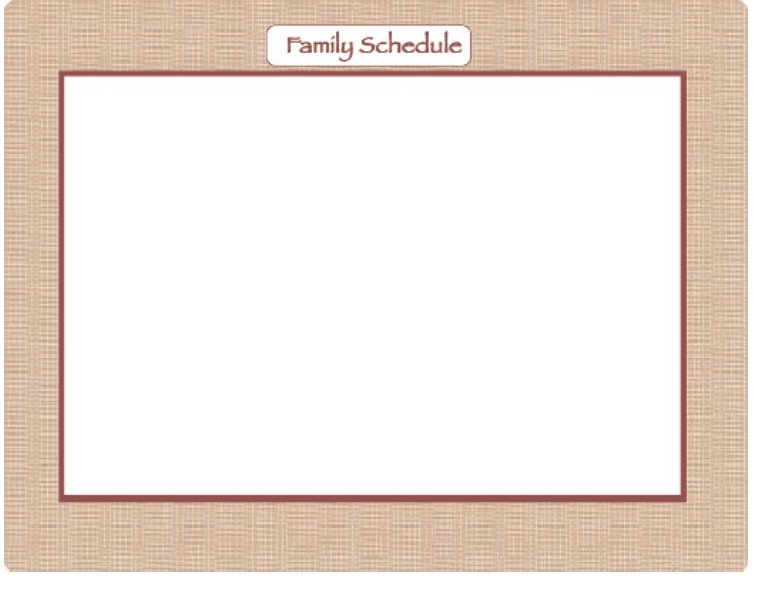 Place the Fodeez Family Scheduler on your refrigerator or any other smooth surface. Slide your monthly print out underneath, and you’re all set. As events get added, simply write them onto the Family Scheduler with a dry erase marker. At the end of the month, wipe the Fodeez Family Scheduler clean and start again with the new month. Keeping track of multiple kids can be a challenge to know who is supposed to be where at what time. Fodeez Family Schedulers keep your calendar visible and easily updated so that everyone knows what’s going on. The peel and stick adhesive makes these calendars your top choice for self-adhesive products that can be displayed on any smooth surface. They can also be used as photo frames. Unfortunately, I can find nothing eco-friendly about this product other than it is reusable. In our family, I am the one that mostly puts items on the calendar. These are usually times I need help transporting children or with child care. The problem lies in how infrequently we look at the calendar. One solution is to review the family schedule regularly. If you make it a consistent practice at a unchanging time each day (or once a week), it won’t feel like nagging. It will facilitate communication and give all family members a chance to add to the schedule or express their desires for the week. By organizing and communicating these events both together and apart, family life will improve. Small events can be simple, like taking a walk. As Gilbert found out, big events, like family vacations don’t provide the sustained happiness of frequent, small activities. If your family is tech savvy, there are many apps to facilitate calendar sharing. Cozi Family Organizer is a popular app in which colored dots next to family members’ names highlights individual schedules. From Google Calendar to Skedj, there are so many apps to help you organize your life. Look for apps designed for business calendars. Your family calendar may be just as complex! Many organization experts suggest setting up a family command center. Personally, this idea scares me! It sounds like a military tactic. There are a lot of great ideas on Pinterest. Some include not only a calendar, but hooks for backpacks and keys, chore charts, and behavoir plans. I hope these five ideas and tips for organizing and communicating your family’s schedule will simply your life!